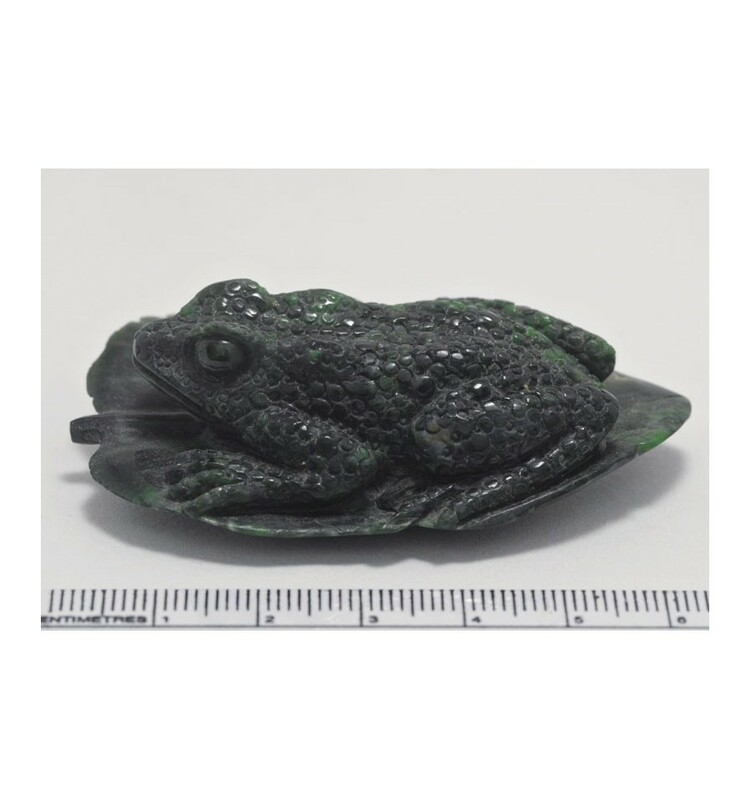 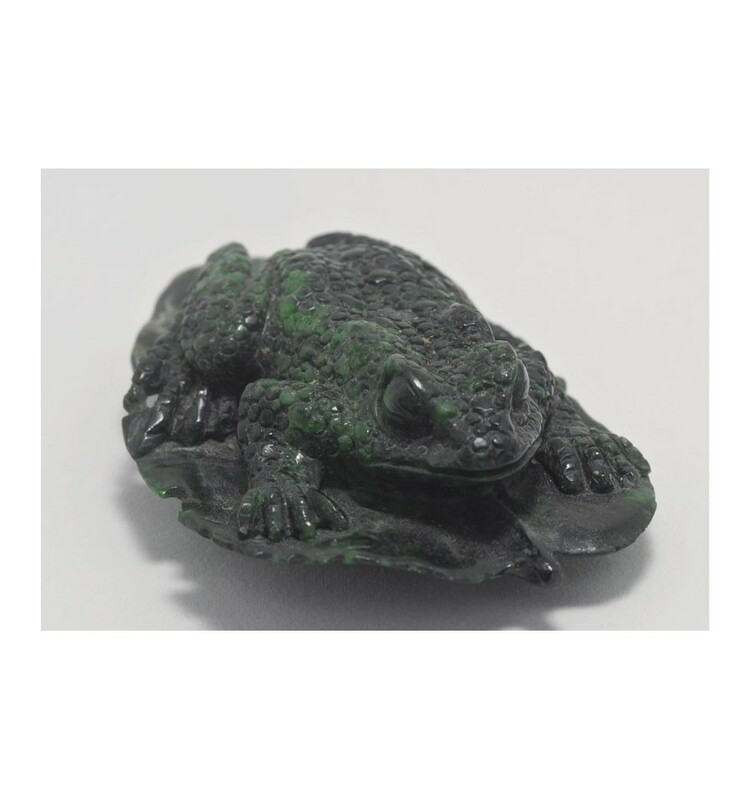 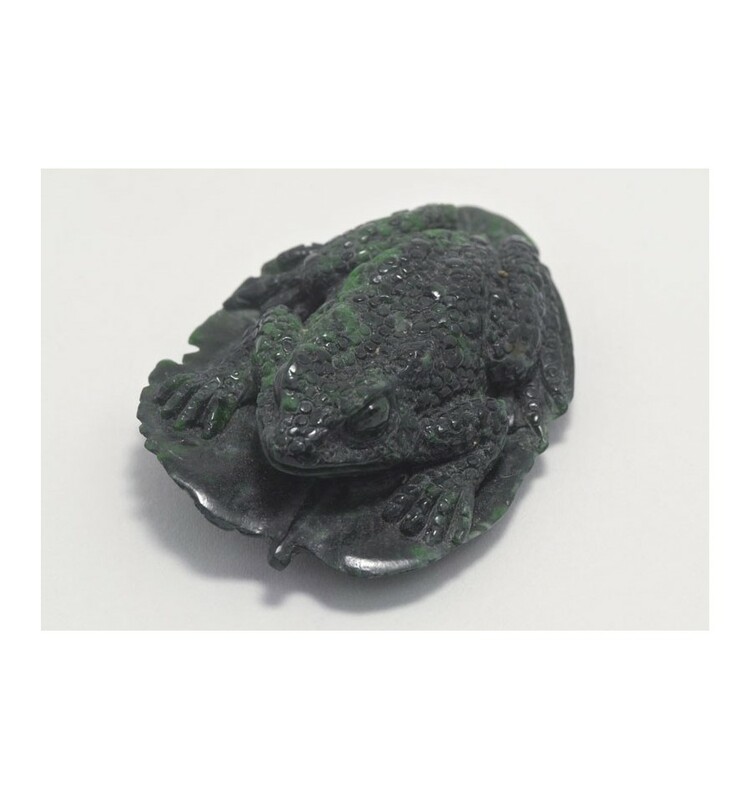 A frog on a leaf has been expertly carved from a piece of genuine jade albite. 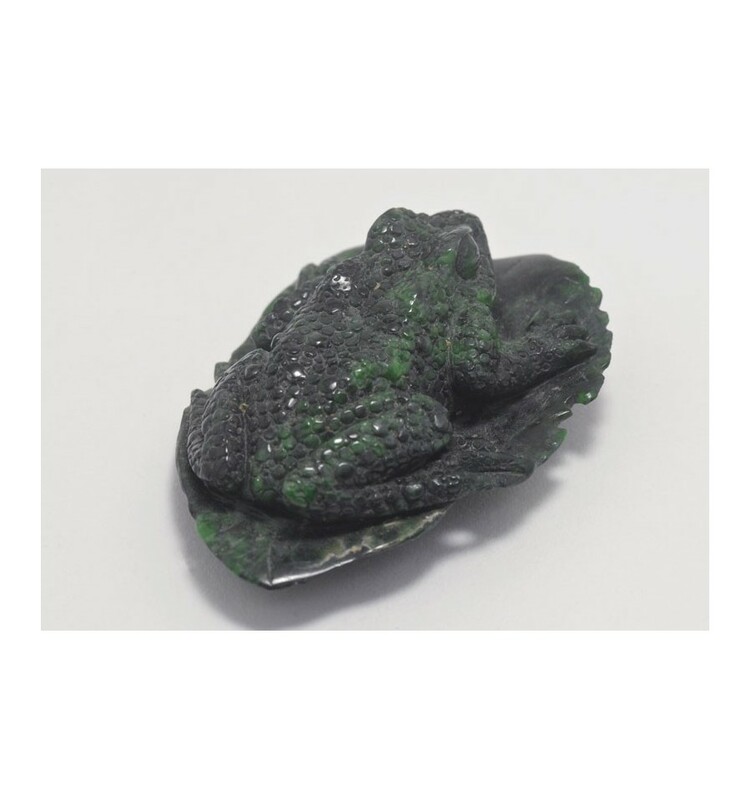 This superb gemstone sculpture will become a friend and a timeless treasure. 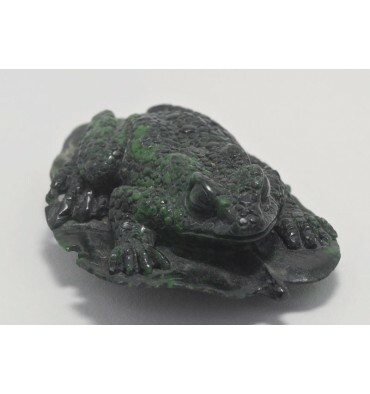 Size: 65 x 40 x 20 mm or 2 1/2" x 1 3/4" x 3/4"